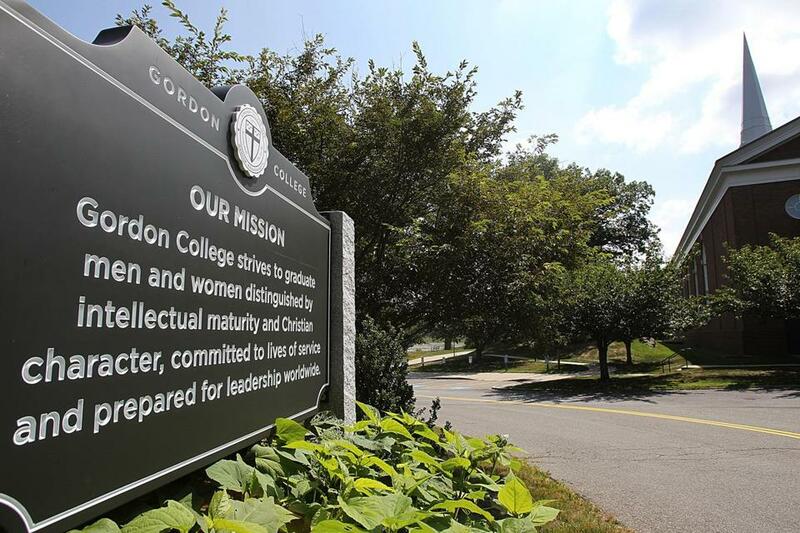 Gordon College has been in the news recently for its stance on gay rights. The Lynn public school district this week severed an 11-year partnership with Gordon College, citing the college’s opposition to federal hiring protection for gays and lesbians. The move ended a partnership that had sent dozens of Gordon student volunteers into the city’s public schools. The decision by the Lynn School Committee on Thursday is the latest in a wave of backlash against the small Christian college north of Boston since school president D. Michael Lindsay signed a letter to the White House last month seeking an exemption from President Obama’s executive order barring federal contractors from discriminating. Lynn’s measure follows a decision by Salem officials who, in reaction to the college’s stance, ended a contract allowing Gordon College to use the city-owned Old Town Hall. “Gordon needs to say, ‘I’m sorry for the request in the letter,’ ” School Committee member Charlie N. Gallo said at the committee's meeting, according to a video recording of the session. It “shouldn't be incumbent upon Lynn public schools to train people in Gordon College not to discriminate,” said Gallo, who introduced the resolution ending the relationship. He noted the Lynn school system prohibits discrimination based on sexual orientation in its hiring practices. Lynn is about a half-hour from Gordon. Since 2003, the Wenham college, which has more than 2,100 students, has placed small groups of volunteers in Lynn’s schools for student teaching or other positions to fulfill requirements toward degrees in education and social work. Hundreds of Gordon students, mostly freshmen, also volunteer yearly with community groups outside of the school system, such as the Boys and Girls Club of Lynn, and some at the meeting voiced concern the School Committee’s decision might end those relationships, too. A Gordon spokesman, Rick Sweeney, said in an e-mail Friday that eight students had been slated to teach in Lynn during the upcoming semester. He said he expects the roughly 300 students who volunteer in Lynn outside the school system to continue that work. Sweeney said the college was disappointed by the School Committee’s “surprising” decision and said the college hoped both sides could renew the partnership. In a letter sent to the school system’s legal department, an attorney representing Gordon argued that a decision to end the relationship would violate Lindsay’s constitutional right to freedom of speech and religion, though he said the college would not sue. Sweeney reiterated Friday that Gordon “has no desire to pursue a legal avenue to preserve the partnership.” No legal contracts or money are involved because the students are considered volunteers. The 4-to-3 vote by the Lynn School Committee followed more than an hour of sometimes contentious discussion among board members and testimony from audience members, some of whom spoke about their experience as gay Gordon alums. No one voiced support for Lindsay’s stance, though speakers disagreed about how the school system should react. Supporters of the decision to end the relationship between Lynn schools and Gordon said the college’s request for an exemption from the antidiscrimination order amounted to a civil rights violation and called for severing ties immediately. Others on the School Committee were more circumspect, arguing the school system couldn’t afford to end the partnership at a time when resources are strained. Val Buchanan, who oversees service programs for Gordon from her office in Lynn, acknowledged the “hurt and anger caused by our president’s letter” and offered to have students sign “nondiscrimination” statements before working in classrooms. Mayor Judith Flanagan Kennedy, who chairs the Lynn School Committee and voted against the measure, voiced concern that ending the relationship could be interpreted as violating Lindsay’s freedom of speech and might mean the end of other partnerships. She said she would support requiring a statement such as the one Buchanan suggested. “Not only would Lynn public schools no longer have the resources available through Gordon, we would also lose various programs,” she said. Maria Carrasco, a committee member originally from the Dominican Republic who had three children graduate from the school system, said Friday that in a city as diverse as Lynn, it was important to stand up against efforts to erode antidiscrimination policies. “We try to reach out to students to be open-minded and be true to who they are,” she said. Steve Harrington, interim executive director of the North Shore Alliance of Gay, Lesbian, Bisexual, and Transgender Youth, told committee members that he suffered as a gay student at Gordon about 40 years ago. He implored them to cut ties with the college.